Our staff are making the most of lunchtimes following the transformation of our new breakout room. At Rendition we recognise the importance of taking time away from the desk to improve productivity, so we’ve created a stylish staff room to take a break, relax and have some fun. 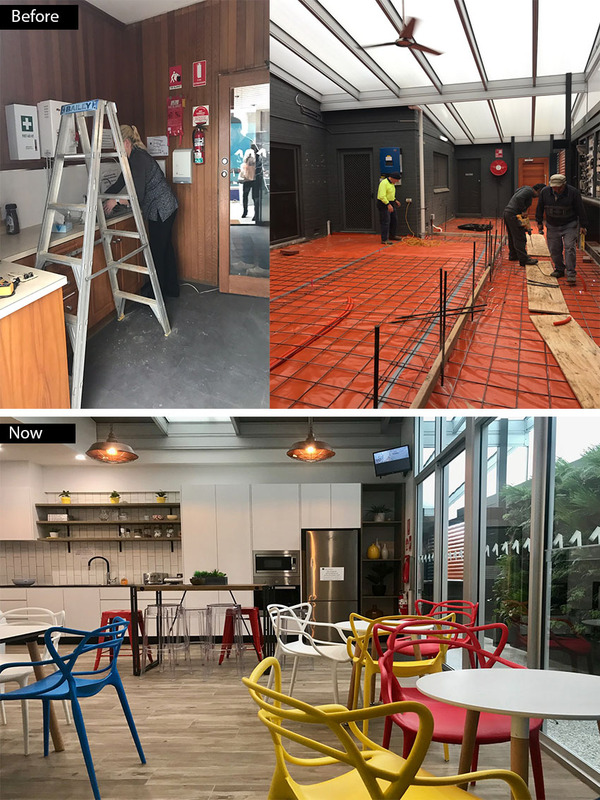 Our new space is bright, cheery and comfortable, with a schmick new coffee machine, plenty of café chairs and tables to chill or socialise, and a sofa on hand for when the need to lounge takes over. We’ve also brought the outdoors inside with the addition of a fabulous green wall, brimming with an array of lush greenery and beautiful ferns.